Thank you to everyone who made Harmony Day so special this year! Students did a wonderful job making stars for our whole school artwork. Our Year 5s worked with their kinder buddies on worry dolls. We all enjoyed a lavish Harmony Day feast thanks to our wonderful parent volunteers. Our great day finished with a whole school assembly filled with performances and speeches. Enjoy the photos below! Thank you to everyone for your wonderful support of this fantastic event today! The effort and volume of delicious dishes for our shared lunch was astounding. Thank you to all the families who contributed and to the lovely parents who helped us serve lunch to all our students. Our senior students did an excellent job leading cultural activities with our younger students during the middle session, followed by beautiful performances in the afternoon. A huge thank you to our talented Miss Hibbert for arranging and leading all the performances today. 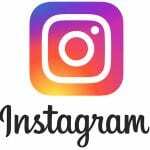 Enjoy all the photos and videos below! 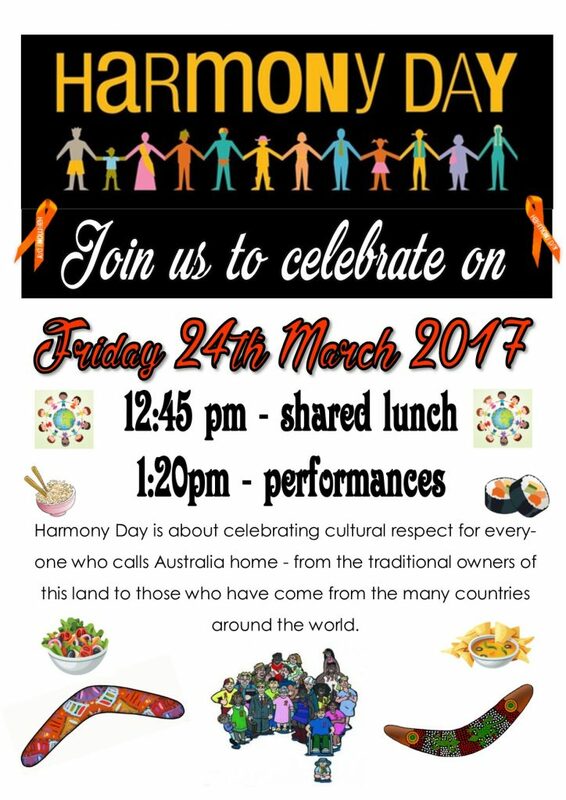 Harmony Day celebrations this Friday! 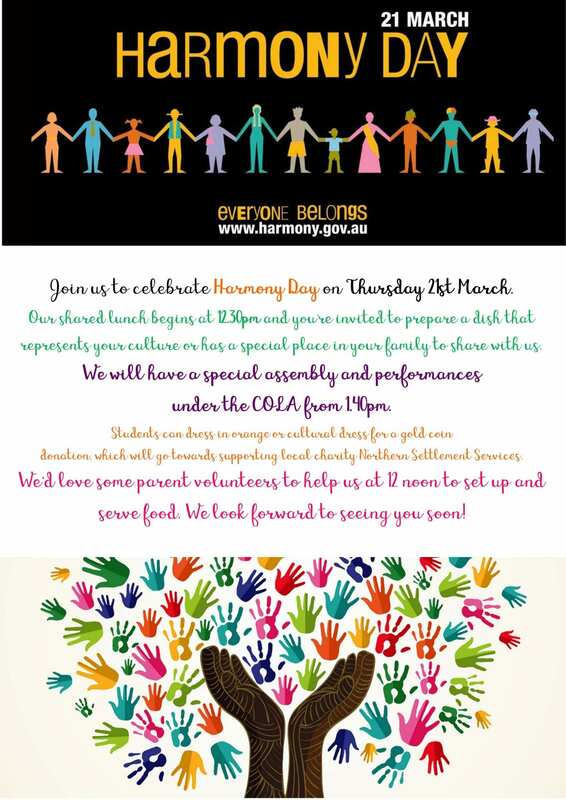 Our Harmony Day celebrations will be taking place this Friday! Remember to wear something orange or traditional dress for a gold coin donation. 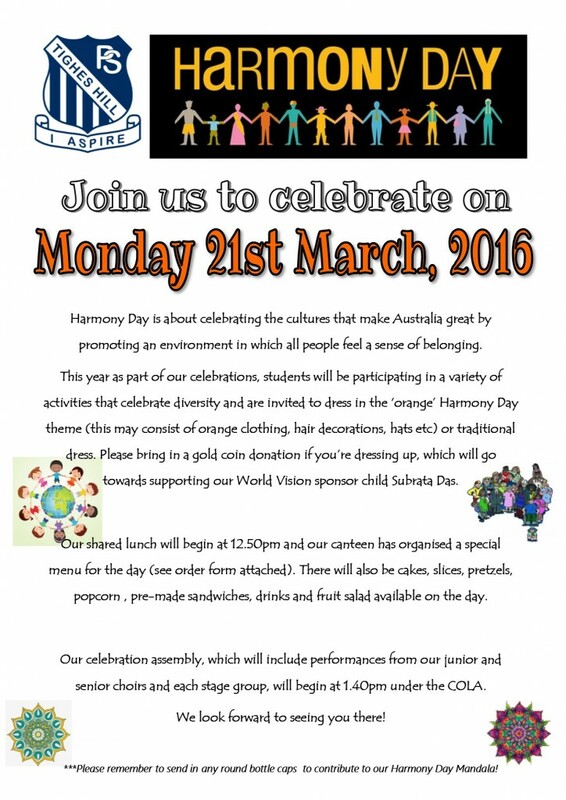 We hope you can join us from 12.45pm for our shared lunch and bring a dish for our multicultural feast. Performances from our choirs and stage groups will begin at 1.20pm. Looking forward to a harmonious day! Well done to our Stage 3 students and Senior Choir for their wonderful performances of We Are Australian and Viva la Vida on Harmony Day. Thank you to Mrs Bowman for filming and uploading these for us. Thank you to everyone who joined us to celebrate Harmony Day. We had a wonderful day focusing on this year’s theme: our diversity is our strength. Students took part in a range of cultural activities throughout the day which begun with our Year 6s helping students from each class to create a mandala using recycled bottle tops on the bottom court. Thank you to Jane for organising and leading this activity – the finished mandala looked fantastic! Our Year 5s worked with their kinder buddies to make worry dolls. All students contributed to this year’s whole school art project – a giant koinobori fish – by painting and sharing their handprint and all students created their own totem which will be made into a whole school totem display. Thanks to the canteen for their terrific effort making over 400 lunches today! We raised over $250 in donations which will go towards our World Vision sponsor student Subrata Das from Bangladesh. Our student performances were excellent. Thanks to our wonderful music teacher Miss Hibbert for organising this year’s performance items. Have a look at the great photos from Mrs Bowman below! Yesterday our school celebrated Harmony Day. Our Stage 3 students set up a variety of art/craft stations for our younger students to participate in. These included origami, badge making, poster designs, paper chains and story time with Uncle Dan! It was great to see our students make a huge effort and share their enthusiasm with others. All of our students contributed to our combined Harmony Day artwork – a large timber map of Australia with all THPS students and staff represented with mini pictures. A big thank you especially to Sarah and helpers for their efforts painting and assisting me with this activity. It will be displayed in our stairwell once complete. After the BYO picnic lunch, students took to the stage to perform their Harmony Day song – Say G’day (video below). Thank you to Mr Haug for his time, effort and organisation of all the performances. They were terrific! Be sure to check out the photos and video below. Yesterday we celebrated Harmony Day and the cultural diversity that families bring to our school. The day was full of activities, story sharing, shared lunch, sausage sizzle and a fantastic celebration concert of student performances. A big thank you to Fiona, who shared her experience of living in Saudi Arabia with us; all the families who provided food for the shared lunch; and to everyone who made a gold coin donation – over $260 was raised for Sabrata Das. A special mention must also go to the wonderful Miss Beker for all her efforts in organising such a successful day. Below are some great photos taken throughout the day and videos of our terrific student performances. Today students celebrated Harmony Day and embraced the theme ‘Everyone Belongs’. The day included a variety of harmonious activities including creating a Harmony Day mosaic, designing and decorating tribal masks, sport, a shared lunch of delicious foods from different cultures (Thai Moo-Yong, Nasi goreng and Spanish empanada – just to name a few) and our Harmony Day concert. A big thank you to the families who brought in a plate of food to share today and for making such a terrific effort dressing up. Thanks also to Miss Beker and Mr Britt for organising our musical performance. It was great to see the students on stage enjoying themselves. Well done!